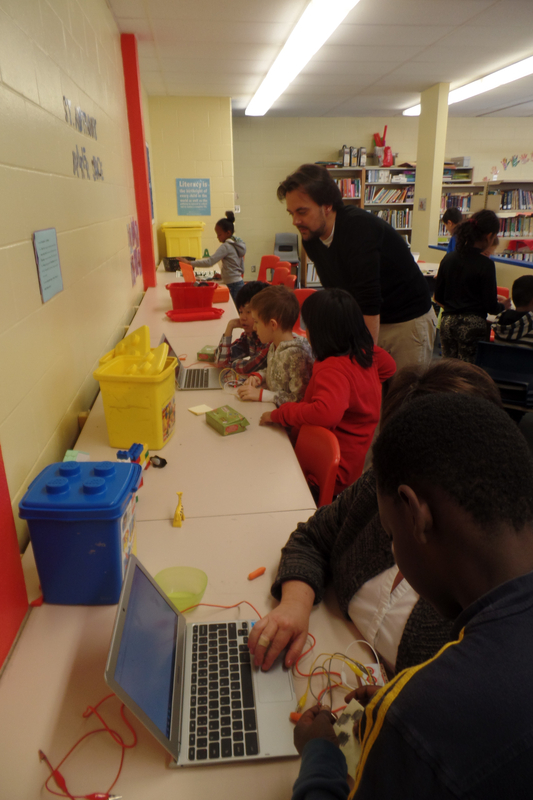 We have been experimenting with our makerspace for the past six months. There is no question that the club we are currently running has been a major success with the students. Now it is time to take it to the next level. We are planning our first school-based maker faire. This will involved several elementary schools, the University of Ottawa and some really innovative makers here in Ottawa like Maker Junior and other groups. The maker faire tradition in Ottawa is growing. Last year, the first mini-maker faire was held and over 6000 people attended over the two days. The first full maker faire is now scheduled for next November 7-8 at Lansdowne Park the organizers are expecting 10,000 participants. We work closely with another school – St. Luke. They have done some amazing projects including the construction of an entire city in their learning commons. At our school, we are trying to figure out how Arduino works and we are hoping to use Raspberry pi as a server to get Minecraft working in the learning commons. We have yet to see a 3D printer or build any robots, but we are hoping that the school maker faire will move us all to the next level. This project calls for lots of collaboration. We have developed an ‘innovation team’ that includes elementary school principals, high school teachers, university professors, Faculty of Education students and local makers. It is a group with lots of talent, resources and ideas and it will be this group that puts together the maker faire at our school. We also have a new partner – students and teachers from Kitigan Zibi school in Maniwaki. We have never had contact with this school, but it will be great to have them as partners in this project. We have just been introduced to some of their staff through the Faculty of education at the University of Ottawa. What will the day look like? We are not entirely sure, but we know we want the students to have the chance to explore and make new things. We want to expose them to the best of maker culture here in Ottawa. 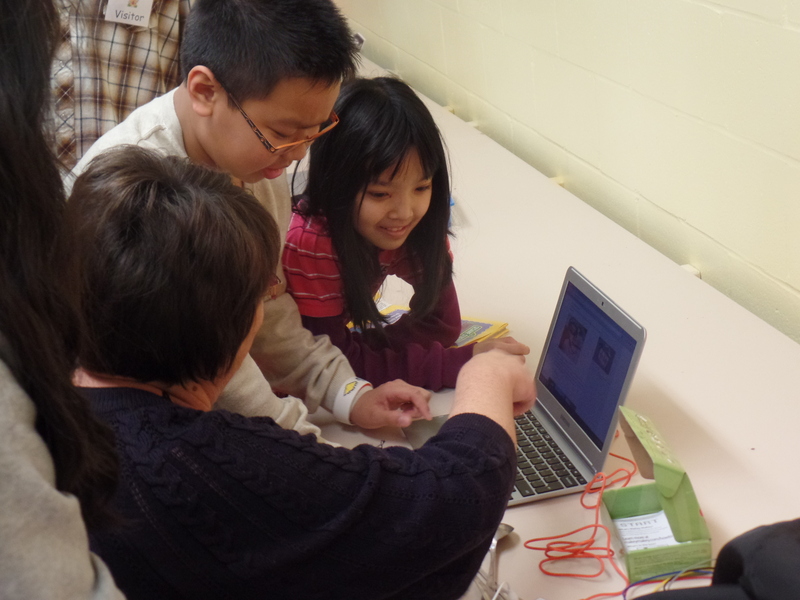 So far, we want the students to learn and actually use 3D printers. We will be getting a supply through Luc Lalande, the Executive Director, Entrepreneurship Hub at University of Ottawa and a real champion of maker culture here is Ottawa. We have also discussed hands-on workshops involving Ardunio kits and Leggo and additional workshops involving Makey Makey kits. Rick Alexanderson from St Peter High School will volunteer CARL the robot at the maker faire and bring the Robot and provide information on workshops provided free to students by Carleton University. Further CARL the robot will be then donated to the makerspace. This is a line following robot and can do a few tricks – it is also a kit so teachers can look at the parts and see how this easy snap together the robot. 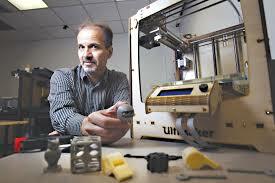 Rick works on really innovative projects with the Carleton University Department of Engineering. The workshops will be an hour long and we hope to have five options for students to choose from. Each students will be able to choose three out of the five workshops. The event will take place on April 30 and will probably be held from 10:00 am to 2:00 pm. We are really looking forward to this, the maker faire will really push us to collaborate with many diverse partners and it will challenge all our students to really develop a better understanding of how to build, create and innovate. We will use this blog to keep a running record of our progress as we work towards our April 30 deadline.